Fashion With A Conscience has moved. 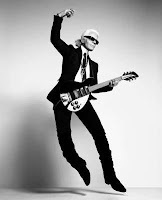 Visit www.fashionwithaconscience.org: OMG moment: Karl Lagerfeld leaving Chanel? Everybody freak out!!! 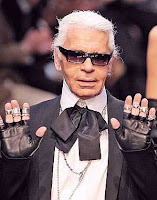 Karl Lagerfeld did not renew his contract with Chanel according to a solid rumor. There goes my dream of moving to France, joining Chanel and being mentored by, you guessed it, another one of my favorite designers. Apparently, Lanvin's Alber Elbaz would take his place. In turn ex-Nina Ricci designer Olivier Theyskens would replace Alber. The designer musical chairs is still only a rumor but keep your fingers crossed anyway. If in the end this rumor turns out to be rubbish, we'll be happy. But for the record, to whomever started this rumor: you are NOT funny!